Camberley Glass & Windows have been providing the good people of Hampshire with the latest in Glass & Window technology for over 50 years and we would like to share our exciting new range of Bi-Folding Doors. 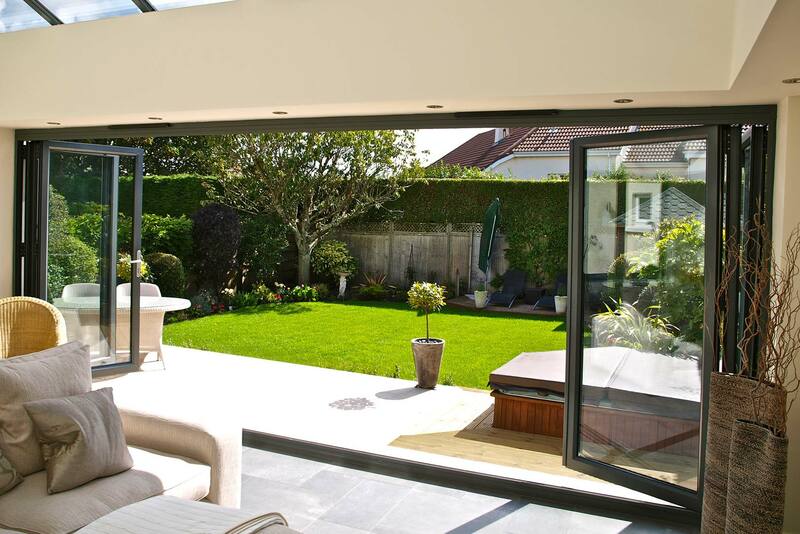 Make a bold statement with this range of elegant Bi-Folding Doors from Camberley Glass & Windows. Whether it be a walk-in-wardrobe, a utility room or a kitchen extension, the adaptability of the Bi-Folding Door can be the perfect solution for anyone wanting to create more space and light in their daily lives. The advantageous design of the Bi-Folding Door is found in its adaptability and flexibility. The implementation of the concertina fold allows the door to be stacked, maximising all available space and natural light. Our Bi-Folding Doors are available in both UPCV and Aluminium and we have a wide variety of colours. Whether you want to blend in with the surroundings of your home, or make a statement. Whether you favour a contemporary or traditional look, the choice is yours. You can view our range of Bi-Folding Doors at our showroom where our onsite experts will advise and guide you through all the technical considerations. Camberley Glass & Windows has over 40 years of experience in providing glass glazing and door replacement solutions, we have a passion to fulfil all your glass and door requirements.